Biocell textured breast implants, made by Allergan, have come under growing scrutiny from some doctors who say they are seeing many of their patients return with debilitating pain. 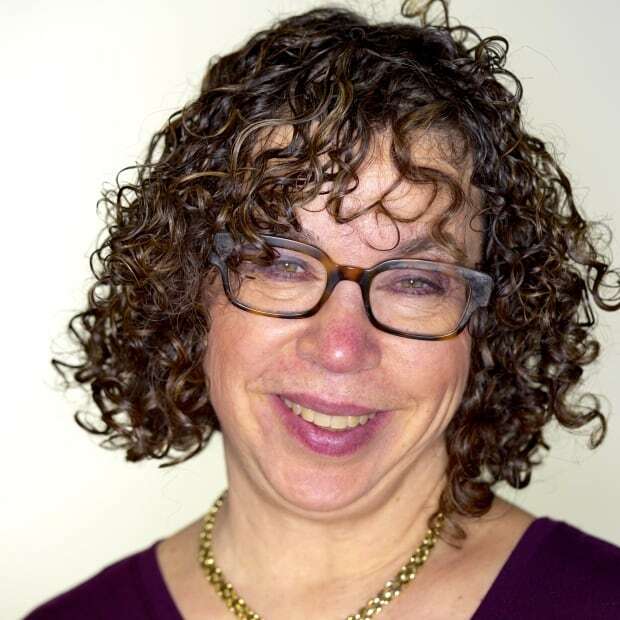 For Katherine Smylie, it was a five-year journey to figure out the hair loss, memory fog, irritable bowel syndrome and constant pain — especially the migraines. 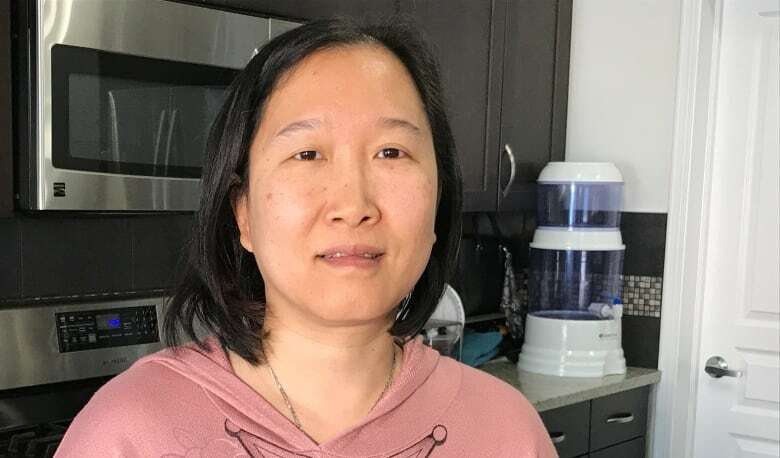 "I had migraines every day for over two-and-half years," the Edmonton woman said. Her doctors told Smylie she was crazy, she said, and there was nothing she could do. There were days when she wanted to give up, until she met a rheumatologist who put all the symptoms together and told her one thing: Get her breast implants removed. "I felt like I was validated for once: Finally somebody was listening to me and was caring about my best interests," Smylie said. The 47-year-old believes the cause of her health problems was the Biocell textured implants she received in 2012, two years after undergoing a double mastectomy, which was followed by chemotherapy and radiation treatments. 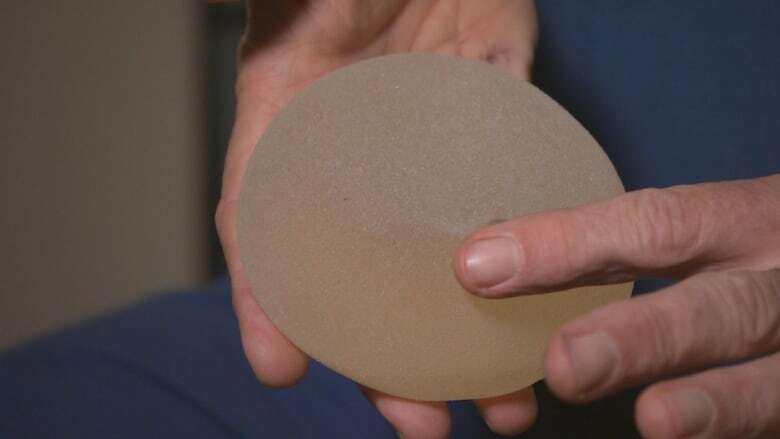 Those same silicone implants, made by Allergan, have come under growing scrutiny from some doctors who say they are seeing many of their patients return with debilitating side effects. While all textured implants form fluid around them in the body, none are to the extent of the Biocell implant, say doctors, who believe it's because of the aggressive texturing that promotes adherence and keeps the implant more firmly in position. And while some women believe breast implants cause other illnesses, such as fatigue, muscle weakness, aches and pains, and brain fog, Health Canada has said there's no scientific evidence that they are associated with such conditions. Learn more about your medical device by searching our database of Health Canada records. The federal agency did issue a moratorium on the use of silicone breast implants in 1992 over concerns that ruptured implants could cause autoimmune and connective tissue diseases, but subsequent research found no evidence of that. A new generation of silicone implants were allowed back on the market in 2006, and medical experts have continued to study the devices, including Biocell textured implants. The most recent study, written by Vancouver-based plastic surgeon Dr. Nicholas Carr, analyzed 539 implants he had removed from patients. His findings, published last September in the journal Plastic and Reconstructive Surgery, said that of all the different types he explanted, the Biocell textured implants had the shortest shelf life. "The Biocell implants came out sooner than other types of implants we looked at," he said. "So sooner than saline implants, sooner than smooth gel implants." The textured implants came out after an average of four years of being implanted, Carr found, while the saline implants lasted the longest, at seven years. 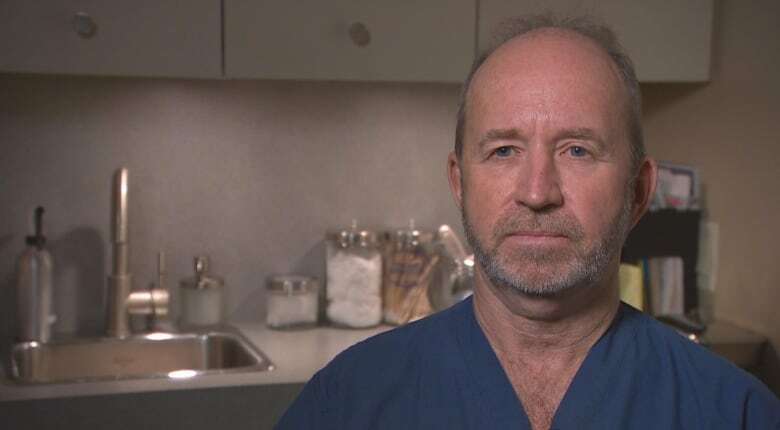 According to Carr, 25 per cent of his patients had the same reason for wanting the implants removed: They were painful. "I had a hockey player who found she simply couldn't play hockey anymore because it was too uncomfortable," he said. Textured implants were a popular choice for doctors between 2005 and 2012, when Carr says as many as 3,000 procedures were done annually in Canada — both for cosmetic reasons, as well as post-mastectomy reconstruction. They were seen as a way of reducing capsular contracture, a tightening of the scar tissue that forms around the incision after the implant is placed. The texturing also acts as a kind of Velcro, preventing the implant from sliding on the chest wall. The Biocell implants became available in Canada in 2006. It wasn't long before some doctors say they began noticing inflammatory problems around the implants, including pain and swelling. Dr. Elizabeth Hall-Findlay was one of the first doctors to sound the alarm, publishing a study in 2011 looking at the number of patients who had formed "double capsules," or two distinct layers of scar tissue around the implant. Up until then, the Banff-based plastic surgeon had performed surgery using the Biocell implants on as many as 100 of her patients. Soon after she started to track their results, she stopped using them. "I started seeing some of my own patients and patients from other plastic surgeons that had the swelling, had the fluid buildup and had what looks like double capsule formation. Instead of a single capsule, there was one around the implant and one attached to the patient," she said. Hall-Findlay said her findings were supported by other plastic surgeons who were seeing the same problems. But she also received criticism from five colleagues, three of whom were Allergan consultants and two of whom were company employees. "In our journal, there was a letter to the editor by three plastic surgeons, all of whom were on the payroll of Allergan, who implied that I wasn't doing the surgery properly." This kind of blowback is one thing. 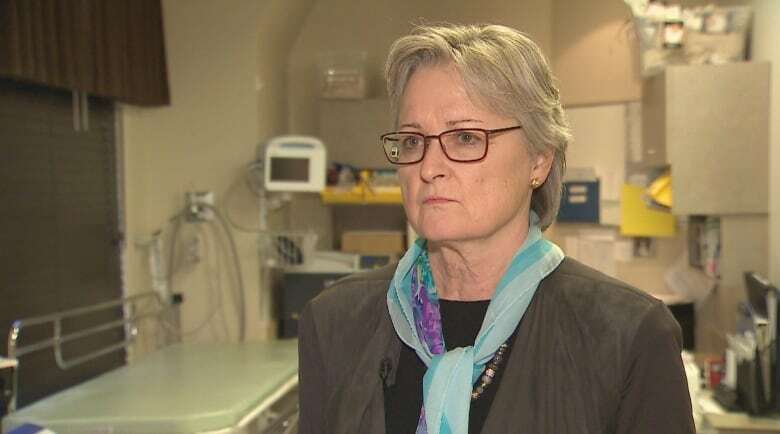 But doctors like Hall-Findlay and Carr also say it's hard to keep track of the problem because there's a lack of transparency between Health Canada and the companies that make implants and medical devices. Any reporting of an adverse event is primarily made by industry to Health Canada, but the responses go directly back to the company. Surgeons and hospitals aren't legally required to flag any complications or injuries, though they may decide to do so for ethical reasons. Search the CBC News database of Health Canada medical device incident reports. "We don't get reports from Health Canada, we don't get reports from industry as to what our colleagues are finding. The only way we find that out is by communicating directly with our colleagues," Carr said. Both Allergan and Health Canada provided written responses to CBC about the safety of Biocell textured implants. Allergan said that "the safety profile of Allergan's breast implants is supported by extensive pre-clinical device testing, more than a decade of worldwide clinical use, as well as a large number of peer-reviewed and published studies." The company also said it provides patient information leaflets and fully supports informed consent. Health Canada said it "considers reporting of medical device incidents, including those for breast implants, to be an important part of our post-market surveillance activities." But the federal agency has resisted calls for a central registry, saying registries "do not necessarily provide useful safety and effectiveness information … due in part to bias in the pool of patients who are generally willing to participate." Biocell textured implants have fallen off in popularity among many plastic surgeons. While there are no firm numbers available, based on his research, Carr estimates about 20 per cent of patients have had their implants removed. Because of the lack of data available, the experiences of the other 80 per cent remains a big question mark. But both Carr and Hall-Findlay caution that removing the implant isn't always necessary. "I don't think that [women] actually have to have them removed if everything is going fine. They just need to know that if they get swelling, or they get a problem with their breast implants, to go see a plastic surgeon and get them checked out," said Hall-Findlay. As for Smylie, she says getting her implants removed was just as difficult as getting the diagnosis; her doctors were reluctant and only offered a partial procedure that she worried would leave remnants of the implants in her body. She eventually found a specialist in Florida who agreed to remove them completely last month. The relief was almost immediate, Smylie said. "It was such a sigh of relief to wake up and not have a migraine for the first time in two-and-a-half years. It was amazing."